Free healthcare benefits everyone in the country, especially those who are not able to pay for their own health insurance. I have met many people who struggle financially, and paying for health insurance just is not something they would be able to do. This can ruin families by putting them in debt over something they cannot control. Healthcare is a right that every person in the United States should be provided with. Other countries, such as Canada have free healthcare for all their citizens. In the article What if Americans Had Canada’s Healthcare System? It stated, “if Americans had Canada’s healthcare, we might see some surprising gains in our quality of life and reductions in our healthcare expenditures.” After saying this, the article backed the statement up using statistics, “5,400 fewer babies would die in infancy, and we’d save about $1.3 trillion dollars in healthcare spending.” According to this article, it only makes sense for the United States to invest in affordable healthcare for our citizens. Not only will people be receiving the medical attention they need, but it will also be saving money for the nation. Free healthcare does not just benefit those who cannot afford it, but everyone in society. 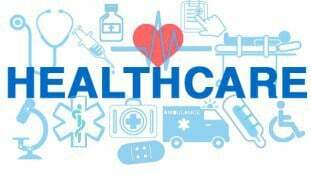 In the article Universal Health Care in Different Countries, Pros and Cons of Each it states, “Universal health care [free healthcare] creates a healthier workforce.” This makes for a cleaner and safer environment for all citizens. “Millions of Americans are uninsured or underinsured due to a poor economy, loss of jobs or other reasons beyond their control. With a free health care system, you would not be turned away because you could not pay. Health care would be free for everyone. No American would ‘fall through the cracks (Kongaika, 2017).’” America needs to repair our healthcare system in order to improve the quality of lives for our citizens. Healthcare by Jillian is licensed under a Creative Commons Attribution-ShareAlike 4.0 International License. I like how passionate you are about this topic, and how well you cited your sources and used that evidence to back up your claim. I have to disagree with your position though. In Canada, it may seem like they thrive on the concept of free healthcare, but in reality, they pay much higher taxes due to the fact that they don’t have to pay for the healthcare, and since everyone has access to this healthcare, there is an insanely long wait list for those who seek medical attention. If there’s a long wait list for some procedures in America, where only paying people receive healthcare, imagine that same circumstance, but everyone gets that care. So yes, economically, it’d be great for the people (besides the high taxes), but in the long run, it would be terrible for those in dire need of a doctor. Thank you for your time, Jillian. I really enjoy your take on this issue. I agree that America could exponentially and universally benefit from having free healthcare available to all people. Canada’s system is a great example of the inalienable human right to health being acknowledged and respected. What would the effects be for the economy if free healthcare was provided? Based on the article you referenced, I would agree that Canada’s healthcare seems only logical for us too. However, I am wondering what it would cost America to get to the same point of free healthcare as Canada?